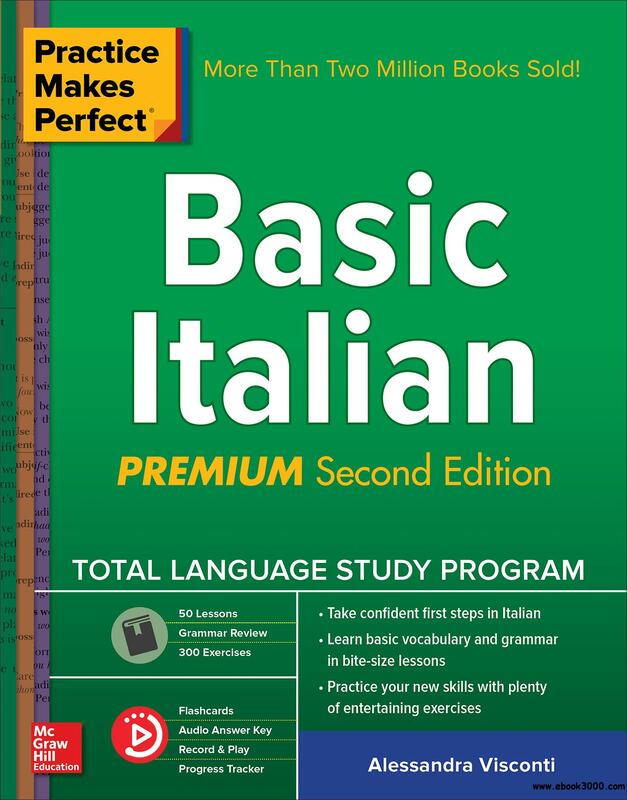 Build a solid foundation in Italian with this bestselling workbook-now enhanced with comprehensive digital support! Practice Makes Perfect: Basic Italian is the proven companion to your Italian-learning experience. In each bite-size lesson, author Alessandra Visconti explains one - and only one - grammar concept and illustrates it with clear examples. These lessons are purposely short, so you can complete them in twenty minutes of less, and go at a pace that works for you. You will, of course, get plenty of practice, practice, practice using your new skills. And this new edition is accompanied by flashcards and audio recordings, available via app, that will provide a new dimension and flexibility to your study. Whether you are learning on your own or taking a beginning class, this book will build your confidence in Italian.